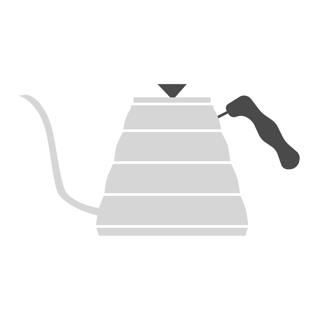 Log your coffee brewing moment with Brewmaster. 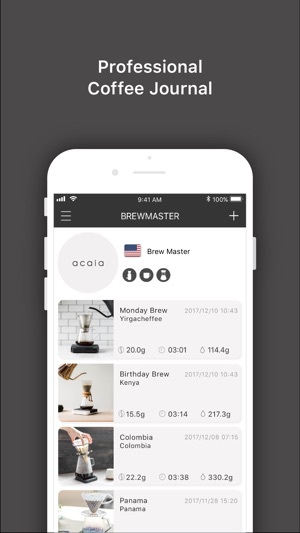 Using the acaia scale with the Brewmaster to create beautiful and informative visualized coffee brewing data which helps you to know your brewing better. 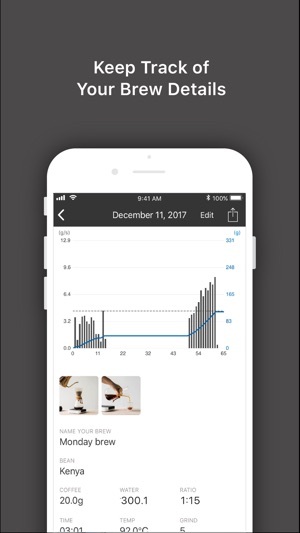 A coffee log that does a live recording of your coffee brewing process, using acaia’s precise weighing technology, when you brew your coffee on the acaia coffee scale, whether it’s pourover or espresso, you can easily monitor the amount and the duration of coffee extraction. 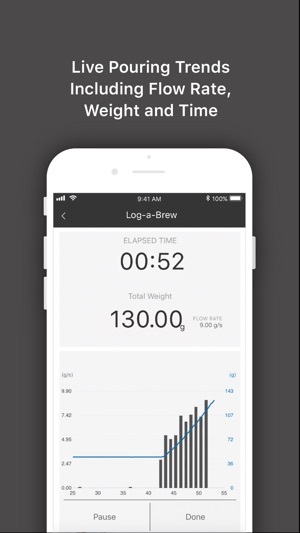 Features: Log-a-brew: Log your brewing process, methods, notes, and coffee flavors, brew better coffee with the acaia coffee scale. Real-time Visualize Brewing Print : improve coffee brewing with the real-time flow charts that reflects your pouring speed, flow rate, learn the way of coffee extraction and brew a mind-blowing cup of coffee with great flavor. 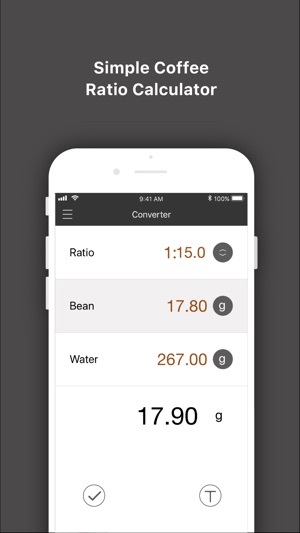 Coffee Ratio Converter: Easy calculation of water to bean, or bean to water ratio. Celebrate The Moment: Share your brewing print cards with friends, remember the great times and great tastes. This version has a bug that continuously runs in the background even when not in use. The phones battery performance suffers significantly. Needs a fix fast. Needs a way to show brew chart profiles side by side to compare. It has auto start for a brew. Needs an auto stop after espresso flow stops. Too many times i forget to hit the “done” button and get a negative water number. Frustrating. Simplistic app that is very rough around the edges. 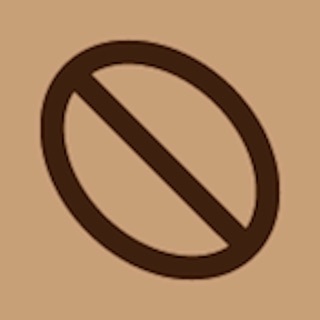 Would be great if there was also a place in the app that gave recommendations for suggested brew ratios by coffee type. 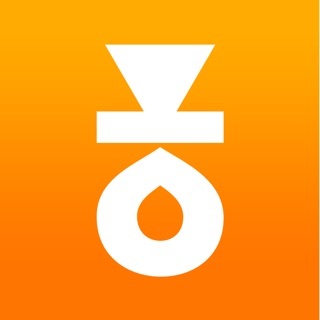 Take a scale that only works part of the time and make an app for it that only works part of the time and you end up with not much yet it is super expensive. Not worth the time, money, and frustration.